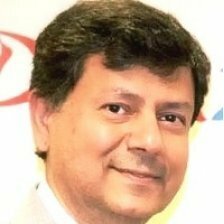 Noorddin is a Lead Architect with Information Technology Strategy and Architecture group at BP with nearly 20 years of experience in System and Technology Strategy, Transformation and Mergers & Acquisition programs. He has successfully led Strategy, Architecture for large scale transformation and divestment initiatives within BP’s Fuels Value Chain, Refinery, Lubricants and Petrochemical Businesses. Noorddin has passion for emerging and innovative technologies and successfully deploying them in program of works to improve architecture, delivery and to generate maximum value from technology investment. How will emerging technologies improve architecture and design to deliver high business value?